We’ll be at booth #1239, so of course, we had to promote our own booth. We’re particularly thrilled to be attending NPGA this year because of the exciting announcements we’ll be making surrounding updates to current products, along with industry-changing new ones. Come by our booth to hear more about it, or schedule a meeting at during NPGA here. Obviously, the expo hall is the main attraction of NPGA. Exhibitors show off the latest and greatest products and services, and you get a glimpse into the future of propane. You can find some exciting developments here, and Vertrax will be one of them as we mentioned above. Plus, it’s great to get all of the swag from companies! To see what companies will be exhibiting, you can view the floorplan here. This year’s keynote speech will be delivered by Jose Rene “J.R.” Martinez. Martinez is a retired U.S. Army soldier, author, motivational speaker, and actor. Below is his bio provided to NPGA. “In March of 2003, Martinez was deployed to Iraq. In April he sustained severe burns to over 34 percent of his body when his humvee hit a roadside bomb. Since his recovery, Martinez has since become a highly sought-after motivational speaker. He has traveled around the country speaking about his experiences to corporations, veterans groups, schools, and other organizations. 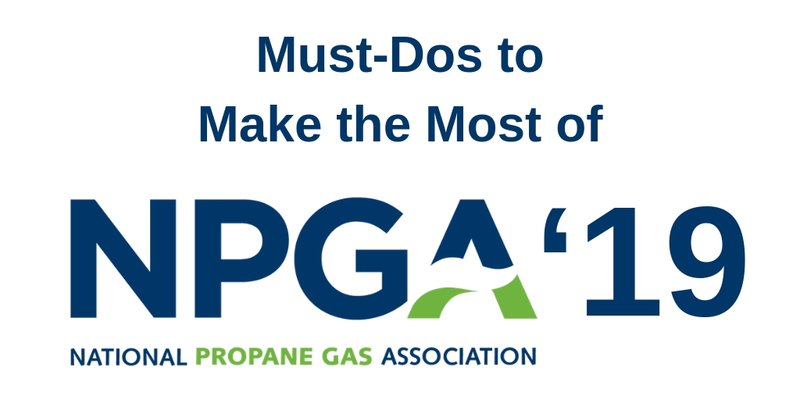 While attending NPGA, there are numerous opportunities to attend sessions and workshops to learn the latest news and strategies in the world of propane. There are too many great ones to choose from, so we highlighted a few sessions that stood out to us. The full schedule of sessions can be found here. Mike Sloan of ICF will discuss the trends he sees affecting the propane industry in the next five years, including the propane inventory outlook, risk factors in terms of both environmental and regulatory, expected propane market changes, and much more. Sloan will also cover key growth opportunities for propane retailers — you won’t want to miss this great session. An all-star panel of propane marketers on NPGA’s Benchmarking Council will gather to discuss the most valuable lessons they’ve learned to help improve business. Hear what has worked to grow their business and what hasn’t, what they’ve done to effectively run their business, and what they’ve discovered others are doing better than them. This fast track session is hosted by Jason Soulon of Westmor Industries. Soulon will discuss how to manage your preventative maintenance in order to protect your investment in your fleet’s bobtails. With bobtails needing to work harder and last longer than ever before, it’s essential to understand how outside elements such as salt and other chemicals corrode bobtails and how to prevent it. Technical workshops are also offered during NPGA — the list can be found here. NPGA is a fantastic event with so many opportunities to learn, network, and have a great time — so be sure to take advantage of all that’s offered. While you’re there, come check out booth #1239 to see the Vertrax team or better yet, schedule a time to meet with us during the event. We’ll see you at NPGA!